The Narnia Chronicles, first published in 1950, have been and remain some of the most enduringly popular children's books ever published. The best known, The Lion, the Witch and the Wardrobe, has been translated into 29 languages! 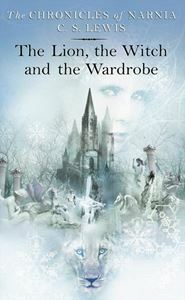 Four adventurous siblings – Peter, Susan, Edmund, and Lucy Pevensie – step through a wardrobe door and into the land of Narnia, a land frozen in eternal winter and enslaved by the power of the White Witch. But when almost all hope is lost, the return of the Great Lion, Aslan, signals a great change . . . and a great sacrifice.The Lion, the Witch and the Wardrobe is the second book in C. S. Lewis's classic fantasy series, which has been drawing readers of all ages into a magical land with unforgettable characters for over sixty years. This is a stand-alone read, but if you would like to explore more of the Narnian realm, pick up The Horse and His Boy, the third book in The Chronicles of Narnia.